While traveling in Western Samoa many years ago, I met a young Harvard University graduate student researching ants. He invited me on a hike into the jungles to assist with his search for the tiny insect. He told me his goal was to discover a new species of ant, in hopes it might be named after him one day. Whenever I look up at the stars at night pondering the cosmos, I think of my ant collector friend, kneeling in the jungle with a magnifying glass, scouring the earth. I think of him, because I believe in aliens—and I’ve often wondered if aliens are doing the same to us. Believing in aliens—or insanely smart artificial intelligences existing in the universe—has become very fashionable in the last 10 years. And discussing its central dilemma: the Fermi paradox, has become even more so. The Fermi paradox states that the universe is very big—with maybe a trillion galaxies that might contain 500 billion stars and planets each—and out of that insanely large number, it would only take a tiny fraction of them to have habitable planets capable of bringing forth life. Whatever you think, the numbers point to the insane fact that aliens don’t just exist, but probably billions of species of aliens exist. And the Fermi paradox asks: With so many alien civilizations out there, why haven’t we found them? Or why haven’t they found us? Given that our planet is only 4.5 billion years old in a universe that many experts think is pushing 14 billion years, it’s safe to say most aliens are way smarter than us. After all, with intelligence, there is a massive divide between the quality of intelligences. There’s ant level intelligence. There’s human intelligence. And then there’s the hypothetical intelligence of aliens—presumably ones who have reached the singularity. If Kelley is correct about how fast the singularity accelerates change—and I think he is—in all probability, many alien species will be trillions of times more intelligent than people. Put yourself in the shoes of extraterrestrial intelligence and consider what that means. If you were a trillion times smarter than a human being, would you notice the human race at all? Or if you did, would you care? 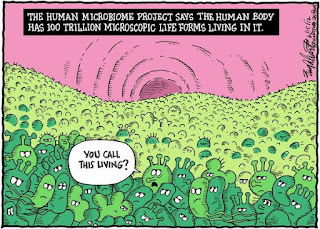 After all, do you notice the 100 trillion microbes or more in your body? No, unless they happen to give you health problems, like E. coli and other sicknesses. More on that later. One of the big problems with our understandings of aliens has to do with Hollywood. Movies and television have led us to think of aliens as green, slimy creatures traveling around in flying saucers. Nonsense. I think if advanced aliens have just 250 years more evolution than us, they almost certainly won’t be static physical beings anymore—at least not in the molecular sense. They also won’t be artificial intelligences living in machines either, which is what I believe humans are evolving into this century. No, becoming machine intelligence is just another passing phase of evolution—one that might only last a few decades for humans, if that. Truly advanced intelligence will likely be organized intelligently on the atomic scale, and likely even on scales far smaller. Aliens will evolve until they are pure, willful conscious energy—and maybe even something beyond that. They long ago realized that biology and ones and zeroes in machines was literally too rudimentary to be very functional. True advanced intelligence will be spirit-like—maybe even on par with some people’s ideas of ghosts. 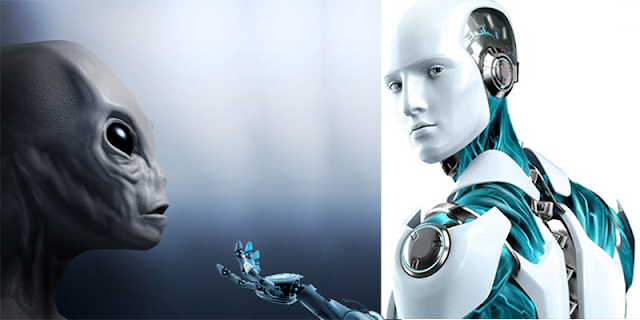 On a long enough time horizon, every biological species would at some point evolve into machines, and then evolve into intelligent energy with a consciousness. Such brilliant life might have the ability to span millions of lights years nearly instantaneously throughout the universe, morphing into whatever form it wanted. Like all evolving life, the key to attaining the highest form of being and intelligence possible was to intimately become and control the best universal elements—those that are conducive to such goals, especially personal power over nature. Everything else in advanced alien evolution is discarded as nonfunctional and nonessential. All intelligence in the universe, like all matter and energy, follows patterns—based on rules of physics. We engage—and often battle—those patterns and rules, until we understand them, and utilize them as best as possible. Such is evolution. And the universe is imbued with wanting life to arise and evolve, as MIT physicist Jeremy England, points out in this Quanta Magazine article titled A New Physics Theory of Life. Back to my ant collector friend in Western Samoa. It would be nice to believe that the difference between the ant collector and the ant’s intelligence was the same between humans and very sophisticated aliens. Sadly, that is not the case. Not even close. The difference between a species that has just 100 more years of evolution than us could be a billion times that of an ant versus a human—given the acceleration of intelligence. Now consider an added billion years of evolution. This is way beyond comparing apples and oranges. The crux of the problem with aliens and humans is we’re not hearing or seeing them because we don’t have ways to understand their language. It’s simply beyond our comprehension and physical abilities. 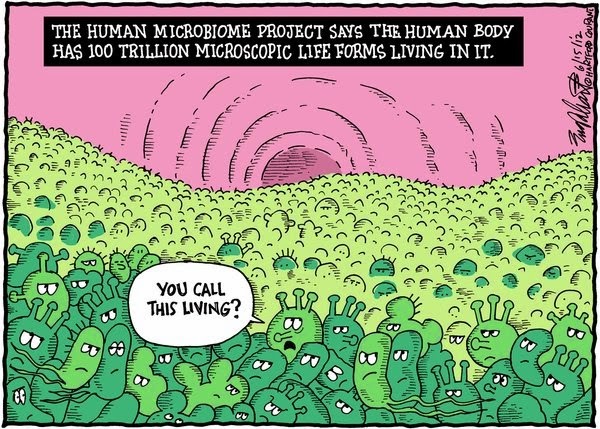 Millions of singularities have already happened, but we’re similar to blind bacteria in our bodies running around cluelessly. The good news, though, is we’re about to make contact with the best of the aliens out there. Or rather they’re about to school us. The reason: The universe is precious, and in approximately a century’s time, humans may be able to conduct physics experiments that could level the entire universe—such as building massive particle accelerators that make the God particle swallow the cosmos whole. Like a grumpy landlord at the door, alien intelligence will make contact and let us know what we can and can’t do when it comes to messing with the real estate of the universe. Knock. Knock.